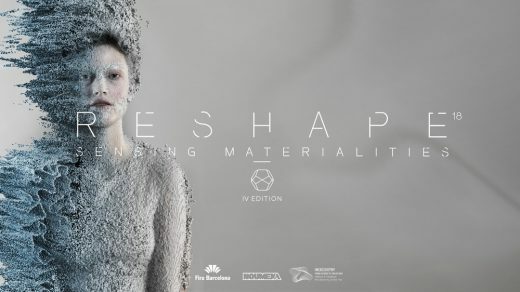 Reshape is a platform promoting research, design and production, from digital ideas through an international network of makers and designers- Reshape is organized by Noumena, IN(3D)USTRY From Needs to Solutions and Fira de Barcelona. Reshape present RESHAPE18 | SENSING MATERIALITIES competition. This year the annual competition extended its category, from the wearable technology design to the Consumer Goods design. Designer, makers, artists and all the talents are invited to submit their ideas and design proposals for the new Reshape challenge. RESHAPE 18 | Sensing materialities focus on customized garments or products, promoting a healthy living for individuals on an everyday life. This edition of RESHAPE is split into two categories: wearables and consumer goods.We seek for a wide variety of applications, spanning from fashion tech and prosthetics solutions negotiating with our own bodies, to intelligent products assisting us in our daily activities. RESHAPE 18 challenges makers and designers to present their innovative proposals sharing their solutions among the distributed frame of research and application. 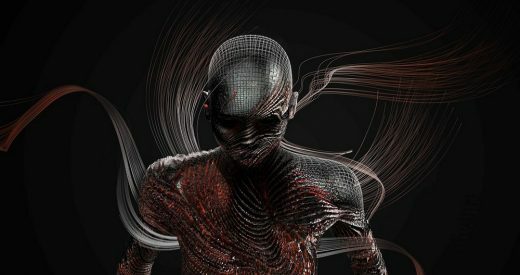 State-of-the-art fabrication techniques are required to facilitate the creation of tailored products that tackle daily problematics, such as respiration, contamination, harmful body postures, disabilities, and stress with the intention to improve the quality of our lives. RESHAPE 18 seeks innovative design solutions, proven by digitally fabricated prototypes. Interdisciplinary processes, experimental approaches, and innovative design strategies are required to become the new pioneers of this digital era. PARTICIPATE AT THE RESHAPE FORUM. The winner designers from Reshape competition will receive a financial award, the invitation to participate in the Reshape Forum and Reshape exhibition. The Reshape Forum will be host to the IN(3D)USTRY From Needs to Solution event in Fira de Barcelona from the 16th to the 18th of October 2018. The experts from the fashion innovation and design technology will share their vision on the topics such as design strategy, design innovation and the relation between human and technology. The Jury members from Reshape competition and the Reshape winner will meet in a Roundtable discussion. The most valuable designers, selected from Reshape competition will present their ideas to the audience of Reshape Forum and jury members. Reshape partners and the selected designers will participate at a closed meeting to discuss about project ideas and further steps. SUBMIT YOUR PROJECT AND MEET THE RESHAPE PARTNERS! The Reshape Forum will be host at IN(3D)USTRY – From Needs to Solutions. The event will focus on the applications and implications of innovative approaches applied to the field of Fashion and Wearable Technology. The Reshape Forum will be structured in a series of presentations, panel discussions, conferences and exhibition. April 26, 2018 in Competitions.